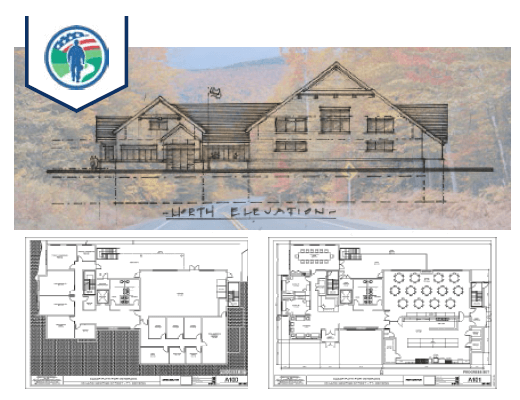 33 Lake George Street, Devens, MA provides the ideal location to construct our Veterans Community Center. 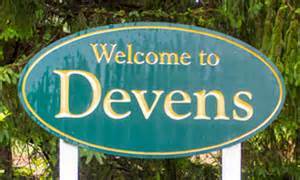 In addition to Devens Military familiarity, it provides easy access from all points in New England. Closest proximity to the largest MA Veteran populations (Middlesex and Worcester County). Many opportunities to partner within the Devens community (e.g., Mount Wachusett College and Shriver Job Corp Center to name a few) as well as the industries located on Devens. In addition to a welcoming and developing community, Devens offers a well developed infrastructure, including 1000+ acres of open recreation space, 18 Hole Red Tail Golf Club, Mirror Lake & Waterfront Beach, bike Lanes; walking and running trails, hotels and conference center, restaurants and services, near MBTA commuter rail. Purchase of land and development of building plans and permits for the project. This phase is well underway and on target for completion in the 4th quarter of 2017. Construction of building and finishes for the first floor with a focus on the industrial size teaching kitchen and the family style dining area to accommodate over 100. Finished areas will include office areas and a conference room. This will include rough plumbing and utility work for the basement area and the 3rd floor expansion area. Full finishes for the wellness wing and the dog training areas in the basement level. Full exterior landscaping including a playground, outdoor chapel area, and reflection areas. All expansion areas are fully finished and operational.